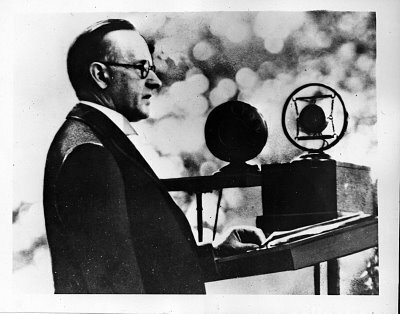 Though it is usually recalled that more than one President has gone with the arrival of July 4th, it is less known that only one President came in with the anniversary of America’s independence: Calvin Coolidge. It goes without saying that this was his favorite day growing up but it was often a day of exertion and serious thought for him, especially as it usually required a speech with all its rigors of preparation and delivery. As he labored over what to say and how it needed to be said to be worthy of their memory, he considered often what had been sacrificed by those who signed the great Declaration. Most of them were very young – in their 20s, 30s, and 40s – with much to lose. For them it was not a symbolic gesture to be abandoned when the pressures became too great or the risk too heavy to bear. They actually had more to lose than most. Yet, they stepped forward when it was far easier to stay quiet and passive. In the end, they knew their loyalties rested not on an elite set of power-brokers but stood entrusted to their Creator and the surpassing rightness of their cause laid before the final Arbiter of their consciences and legacies. They bore that truth resolutely and some, taking that pledge of life, fortune, and their most sacred possession – their honor – with unshakable seriousness, paid in both life and means before the promise of those Declaratory ideals would come to fruition. More than one would never see America begin to live out those ideals under the written Constitution but having looked on that prospect from a distance, they saw a glimpse of what could be emblazoned in the words to which they affixed their names, their reputations, their all. “We do need a better understanding and comprehension of them and a better knowledge of the foundations of government in general Our forefathers came to certain conclusions and decided upon certain courses of action which have been a great blessing to the world. Before we can understand their conclusions we must go back and review the course which they followed. We must think the thoughts which they thought. Their intellectual life centered around the meetinghouse. They were intent upon religious worship. While there were always among them men of deep learning, and later those who had comparatively large possessions, the mind of the people was not so much engrossed in how much they knew, or how much they had, as in how they were going to live. While scantily provided with other literature, there was a wide acquaintance with the Scriptures. Over a period as great as that which measures the existence of our independence they were subject to this discipline not only in their religious life and educational training, but also in their political thought. They were a people who came under the influence of a great spiritual development and acquired a great moral power. Thanks for sharing this on our 240th birthday as modeled by Founders aspirations and clarity of purpose. 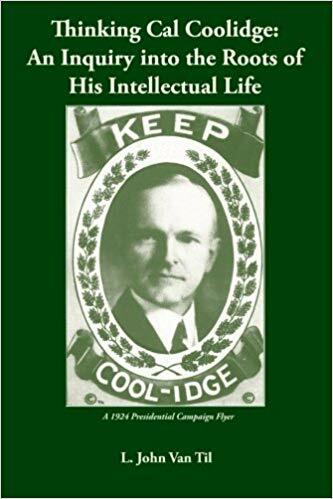 Coolidge book you’ve authored is an incredible read – Obviously! !